In a world that focuses so much on the convenience of online interactions, it’s important to bring attention to our bodies and physical sensations. 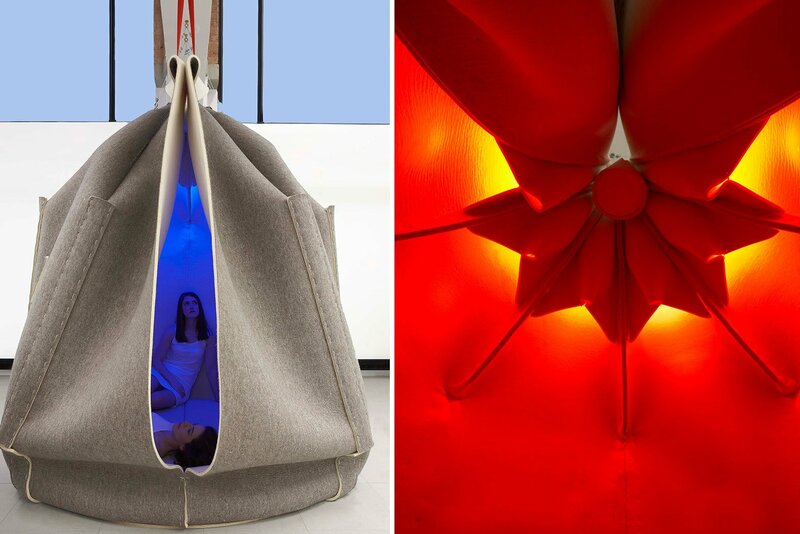 Tackling this issue, British designer Freyja Sewell created the “Sensory Concentration Space,” a cocoon-like habitat for enjoying different stimuli and escaping away from it all. 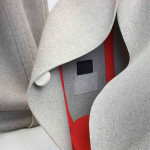 Hand-sewn from biodegradable grey felt, it isolates people from the hustle and bustle of modern urban life, something most New Yorkers could benefit from. 6sqft first stumbled upon Freyja Sewell’s creations when she was fresh out of school presenting Hush at a London graduates’ show. Her first womb-like structure was also a place to hide away from the world, but it was a single-person experience. Her new “Sensory Concentration Space” is a continuation of the concept, but it has an integrated collection of stimuli and fits more than one person. 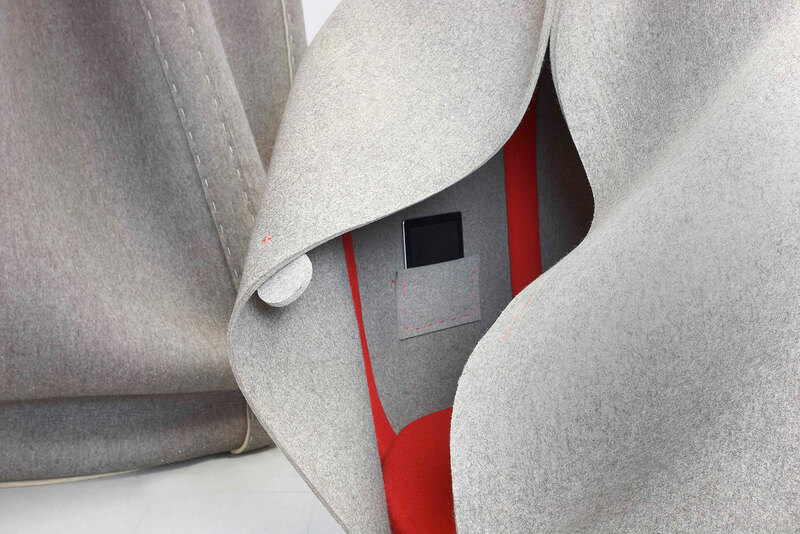 Crafted from 100 percent wool felt (it’s also biodegradable), its interiors afford an insulating quality that is soft, tactile and warm.. 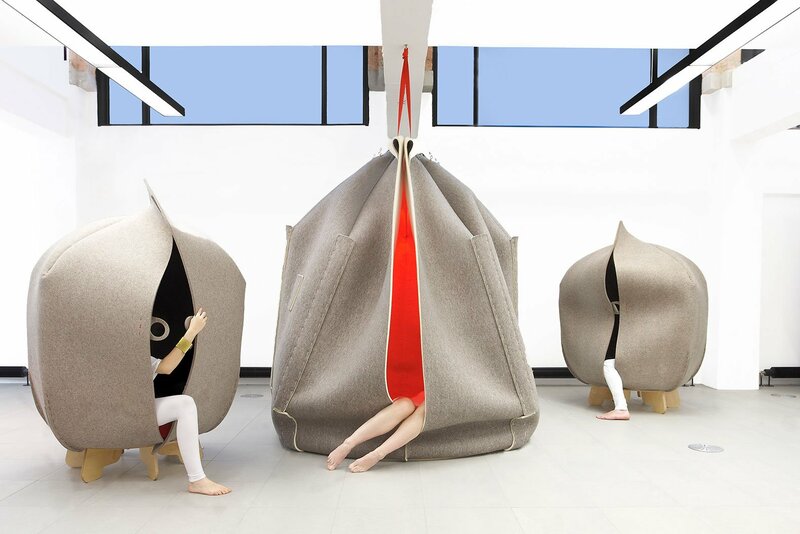 The cocoon comes complete with sound, sight, touch, and smell to sense within its walls, leaving all distracting elements, such as support frames and control panels, on its exterior. 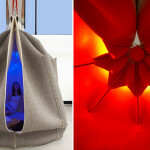 It has color changing LEDs for creating different atmospheres; scented felt discs scattered beneath the elevated floor to trigger different smell stimuli and memories from the past; and speakers in the ceiling to provide sound. All the possible different combinations of elements create customizable spaces to reconnect with forgotten sensations, hopefully improving our appreciation of the physical world. See more creations by British designer Freyja Sewell here.